Most children enjoy doing art activities, but it is easy to postpone them. There are so many things to teach and so little time, it seems. And art projects are so messy. And many parents feel unqualified to teach art. 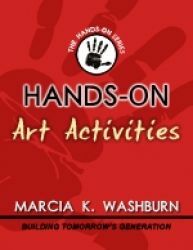 Hands-On Art Activities offers solutions to these objections. Using easily found materials, your children can learn the basics of handling crayon, paint, and chalk with these simple activities. Designed for elementary grades, but interesting enough to engage older children, as well. Includes supply lists and detailed instructions for projects that you and your children will enjoy doing together. Many include suggested extensions for further learning and turning your children's art into gifts and cards.